Hi everyone and welcome to my blog! The main purpose of which was to keep my friends and family up-to-date with what I was up to during the LL.M. Also includes general ramblings - all views my own. Although I have now completed the LL.M I will be keeping the blog active in case it is of any use to anyone wanting to study abroad - to get an idea of how I found it. Of course if you want any "inside info" drop me a line in the Contact tab and Good Luck! In 2014, I set up Roche Legal, a bespoke private client legal services firm. We advise on a range of private client legal issues, such as Wills, Powers of Attorney (Lasting Powers & registration of Enduring Powers), Administration of Estates, Grants of Probate, Trusts and taxation, elderly client legal matters, and more. If there is anything that we can help you with, please do not hesitate to get in touch on [email protected] or you can visit our website at www.rochelegal.co.uk. And there we have it, year 2012/13 have graduated! Well done everyone! Our graduation ceremony was held on the 26th June at the main Sorbonne building where I was awarded a “mention assez bien” and then I was whisked away by my lovely friend Sandra to our favourite sushi restaurant for dinner and a catch up before my departure. After dinner we went to our favourite cappuccino place in St Michel and then before we knew it, it was 1am and time to get the last metro home. I arrived back in the UK on the evening of the 27th June 2013 laden with 5 bags and a mammoth suitcase. My arms are still hurting from lugging all my stuff on the Eurostar, but with the help of some unsuspecting strangers along the way, I (and the bags) made it back and Adam was there to greet me at York train station. I can’t believe that I am finally home! What a year it has been. I want to thank my new friends made in Paris, and of course my friends and family who have supported me back home as well. You know who you are and you are all brilliant. I am now looking forward to getting stuck into the job market where hopefully I can use my skills acquired during the Master to advance my career. If you are thinking about the HM Hubbard Law Scholarship or studying abroad and have any questions, feel free to drop me a line and “bon courage”. I cannot begin to describe how happy I am! This morning, I had my last formal meeting/exam with the Director of the LL.M and our professor for droit constitutional to discuss my internship report and how I have found the last 3 months at the firm. On leaving the room, I honestly thought I might cry as I was so pleased at how well it went. We have all worked so hard during the last year, and to get to this stage with everything coming together is such an incredible feeling and we deserve to be so proud of ourselves. As well as my having my last “exam” this morning, my husband also had his last exam in flying training to become a fast jet instructor. It is such an amazing coincidence that we both finished our respective exams on the same day (and actually at the same time!) - He passed with flying colours too (excuse the pun)! Really, this morning has been the best morning ever! What an end to the last 10 months. I fly back to the UK tonight for a friends’ wedding tomorrow and then my last day at the firm will be on Wednesday the 26th June 2013, which incidentally is the day of our Sorbonne graduation which will be held at 6pm. In addition to the graduation celebrations, and due to our creation this year of an alumni association for the LL.M, which was formally registered in “la journal official” on the 1st June 2013, there will be a number of past students to meet and I am sure plenty to talk about! After our graduation, I am then meeting one of the girls from work at our favourite sushi restaurant to celebrate the end of our internship and as a final parting meal before I return to the UK – although I have no doubt that we will keep in touch. I remember when I found out about the H M Hubbard Scholarship. I was sat in my office at my old law firm in Evesham and a mention was made of it in an email which I received from the Young Solicitors Group. I immediately clicked on the article, knowing that traveling abroad, especially to further my legal education, was something that I had wanted to do for a while. I read the small article and then clicked on the link to the H M Hubbard website itself, reading intently the short accounts from previous scholars and checking over the application requirements. I did nothing immediately as, at the time, I was in the middle of the LPC and had not yet transferred from Legal Executive to Solicitor but the scholarship was always at the back of my mind. I qualified in 2009 and then towards the end of 2010 I missed the deadline. I then applied in 2011 for the 2012/2013 academic year having made initial contact with Vince Cheshire to check that I was eligible. I remember receiving an email from him confirming that I was eligible to apply, when I was at Alton Towers on a day off. It must have been my birthday. I spent ages getting my application together and emailed a couple of the previous scholars for their advice. France had always been my country of choice and having spent a great deal of time researching the various options available for foreign students, I decided that the LL.M at the Sorbonne was probably the best choice for me, although I also spent time in contact with the Directors from Lyon and Nice University checking out the application requirements, costs and modules for these programs as well. With my scholarship application submitted, I was asked to an interview in London for which, as usual, I arrived super early, forever worried I would be late - I made my coffee at the coffee shop next door last a long time before arriving on time for my appointment. It was raining and after two and a half hours on the train I hardly looked fresh as a daisy but I went in there and spoke to the trustees; above all I remember just being myself. I clocked a couple of other candidates during our short meeting who I recall looked super professional and so I didn’t think for a minute that I would be successful. That was mid-December and by the end of the year, I had received confirmation that they were willing to sponsor me. I won’t tell you how long I spent on preparing the dossier of paperwork for my application; I carried it around for a couple of days too checking for mistakes about 100 times before posting it. Then there was the telephone interview, in French, which I had to get through. Needless to say, I was incredibly nervous. At the time, my last proper French conversation had probably been during my A-level exam (apart from the trips abroad to see friends) so I had extra tuition to get me back up to speed. It was another couple of months before I received confirmation that I had been accepted. That was the end of May and then before I knew it, I had handed in my notice at work and here I am. At the time of writing, I have a little short of three weeks left before my experience draws to a close. I clicked on to the H M Hubbard website at the weekend and now I am one of those past scholars. It’s crazy where a little email from the Young Solicitors Group can take you. I have no doubt that this experience will serve me incredibly well in the future, and if I can do it then anyone can. Last ever LL.M report - DONE! I have officially (and finally) completed my last piece of work for the LL.M. A huge report on what I have been up to over the course of the last 3 months as intern. I’m not sure whether writing the thing or trying to decide on my plan* was the trickiest, but in any event it's done and I have given it my best shot as usual! I would just like to mention that in typing this little blog update, after nearly three months of using a French clavier, I am having awful trouble with my QWERTY keyboard and keep hitting all the wrong keys – what a pain as I used to be so quick at typing! Not sure I am ready to invest in an AZERTY but on the other hand, for typing accents and cedillas etc., this standard QWERTY layout drives me mad. Thankfully this short post contains none of those. Anyway, so after spending literally hours on this report, it is finally ready to be printed out, bound up in a professional-looking manner and sent in by post and email. I said a little “yay” to myself earlier but will be saving the major celebration for when I am back home in just three weeks’ time. Nevertheless, I am hoping to get a soirée together of some description before the end of the internship, so with any luck my fellow comrades will be up for that! With it being Friday this evening, and having finished my report which is due Monday – AND with the sun shining (I swear it was nearing 30 degrees today), I officially have the weekend off; a whole weekend where I have nothing to do. No flying to the UK. No hosting guests. No revision. No essay writing or mock trial to prepare for. What am I going to do?! I am going to find a park, sit in it and relax, that’s what! Here’s to a great summer. [All French essays, reports and similar (in law at least) have to conform to a plan – usually in three sections and without a conclusion. Each three sections should have two subsections and can be split further down into sub-subsections depending on the length of the report]. As far as the usual Monday goes, today has been pretty darn good in the grand scale of things! At the risk of inviting the inevitable and ending up with a busy season Part Deux, it has to be said that work has quietened down a fair bit since the 27th May passed by… and there has even been time to catch up on things like starting my internship report which is due in 2 weeks, time recording and putting in our expenses – of which I am sure that over 90% of our cumulative “frais” are take-out sushi. Oh I will miss our late night sushi! After grabbing my usual allongé au lait at a leisurely 8.45am this morning and a yogurt at the canteen, I did my mornings work and then headed to lunch. I was totally shattered in the afternoon from the weekend jetting back to the UK for a friend’s wedding, that even two coffees post lunch would not cut it. That was when one of the girls had the most amazing idea to pop down to a little known corner of the vast expanse of office on the ground floor known as “Cool”. As well as offering a discount gym membership and various other company perks, there is a room where you can sleep… I repeat, an actual room where you can sleep! It’s decked out in blue with three partitioned sleeping areas, each with a bed-sized bean bag, cushions and a throw. Amazing. There are also 2 massage chairs and a dresser with a mirror on it, so you can check your bed head before sneaking back to the office with your colleagues none the wiser that you have grabbed 40 winks in the salle de sieste! Whoever had the brains to invent such a room should be given an immediate pay rise. The end of day got even better too, as I went to my new favourite take-away sushi bar for dinner and then upon arriving back at the apartment there was a parcel waiting for me! The lovely Sophie and Gemma who came to visit 3 weeks ago had only gone and sent me a huge slab of chocolate and a lovely thank you card following our mammoth Paris sightseeing expedition! What a brilliant end to the day. At the time of writing I have not yet eaten any of said chocolate as I am trying to see how long I can last before opening it. It is currently hidden in my suitcase to prevent accidentally consuming the whole bar in one sitting. Watch this space. In other ramblings, I really need to post some more photos soon – I have some real gems waiting patiently to be uploaded. The main tax deadline has passed and I am pleased to report that WE DID IT! What better way to round off with a glass of champagne and some very scrummy hors d’oeuvre in the Crystal Club, a swish open space at the top of the cafeteria in the garden - very nice indeed, and with a great view of Neuilly out on the balcony. The short soriée started with a few speeches from the bosses singing our praises and then we had the pleasure of showcasing our video of comedy sketches put together earlier in the day with the help of Microsoft movie-maker and a tiny video camera. The result was genius and went down very well; it is apparently a tradition at the end of the “busy season” for the interns to put a little something amusing together at this annual celebration. Although I didn’t stay too long at our evening “do”, I was luckily present when we were told to take the day off the following day to relax! And then we received novelty mugs as a souvenir. I spent the next day walking around Paris finally getting all the little jobs done that I hadn’t had chance to do in ages which was brilliant. Most of us have another 4weeks here at the firm before the end of our internship, and I for one will be sad to see the end as we all get on very well together and I think I am even starting to get used to French humor! I am not sure my British humor has muscled its way in despite my best efforts but at least I still know how to make myself laugh! I can usually be seen walking around the office with a big grin on my face and half chuckling to myself and I am sure most of the office thinks I am barmy, but that just makes it all the more funny. 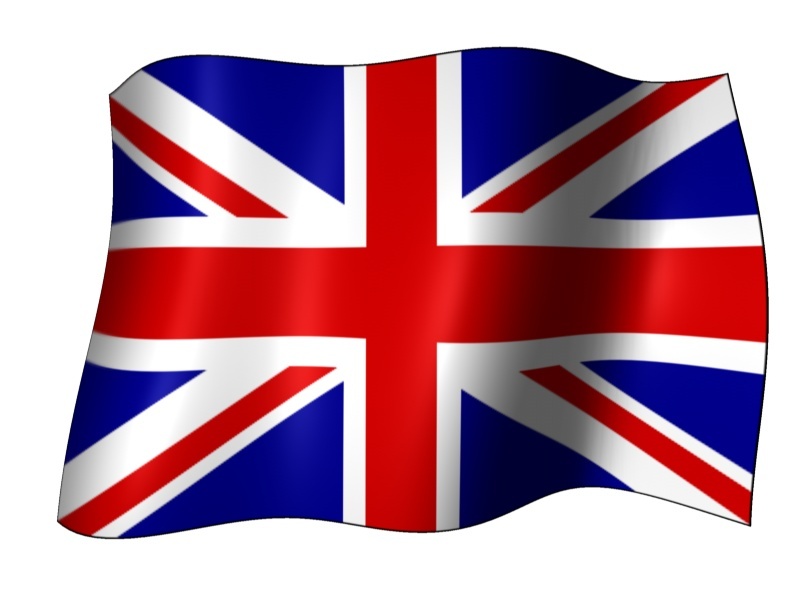 I am sure that I will stay in touch with some of the people here and I am helping one of the interns to find a job in the UK for a few months soon – by all accounts he loves the UK and he wants to brush up on his English as well. In other news, Adam came over last week for a few days overlapping a visit by my mother and sister-in-law during which we visited plenty of sights and caught up over a glass of wine on the river next to the Eiffel Tower. This weekend I am jetting back to the UK for the fabulous wedding of Lynne & Karl and I am super excited to see everyone. True to form I gave Adam a list of everything I needed him to bring with him to Oxfordshire and I did my usual facetime remote packing to grab what I need from my wardrobe at home in York. There is a lot to look forward to in the coming weeks and I can’t wait! I will post some more photos soon. As you can see, it has been a little while since my last update; we have been in the mist of several thousand French tax returns, the deadline for which is in just over a week… Oddly however, the office seems fairly calm. The numerous French bank holidays that fall at this time of year have not been on our radar although a little rumour tells me that we may be able to take these days in lieu at the end of our contract which would mean I could tick off the final Paris sights from my list before it’s time to leave. This weekend, I was very lucky that my friends Sophie and Gemma came over from Bristol for a visit. We had the most amazing time and managed to get ALL designated sightseeing in within 14 hours! Amazing. We saw everything from Ladauré to the Eiffel tower, to the Sacré Coeur to the Luxembourg Gardens. I think I could easily reel off about 20 notable places of interest that we managed to cram in, and we still had time for pancakes by the Pantheon (a favourite place of mine to take visitors) and a classic French breakfast at le café qui parle (thanks Montanna for the recommendation for that one!). Of the guys and girls on my course, a couple are now safely at home and I am starting to feel like my time left here is short. There are still a few places that I would like to visit before I leave, some of which we will be going to next weekend when Adam, my mother-in-law and sister-in-law come to stay - Coco Chanel’s apartment to name just one, which is just down the road. In fact, I have to say, if you are planning on coming to Paris, I really recommend my current location (in the 8th) as it is within walking distance of such a lot. Obviously you can get everywhere on the Metro but when the sun is shining there is nothing like a stroll around the streets to feel like (almost) a Parisian. On Thursday the 18th April, I was lucking enough, as a newly accepted member of the Franco-British Lawyers Society (or l’Associaton des Juristes Franco-Britanniques), to be invited to dine with other members and guests at the private residence of Sir Peter Ricketts, the UK Ambassador to France. This had been a highlight in my diary as I have been eager to meet other people who have a similar interest in all things French and British - and who also enjoy a complimentary glass of champagne in an awe-inspiring property which backs onto the gardens of the Elysée Palace. Living just a 10 minute walk from the venue, getting there was a breeze and I soon spotted some others on route (the invitations protruding from their pockets a clear giveaway) and promptly tagged along. Passport and invitation validated at the front gates and I was in. The genre of people in attendance were as diverse as expected, ranging from lawyers from France, the UK and the US, professors and lecturers from all over France, to various employees of the Embassy such as the liaison for France/UK and the deputy head of missions. Of course our host for the evening the Ambassador was busy mingling around and I found him charming and charismatic. He had also managed to tweet me during the day after I had mentioned something about the rendezvous on my twitter feed. As someone said to me during the evening, the place is a “hot house of diplomacy” – and it seems #digitaldiplomacy is also high on the list! We were, I believe, 88 in total for dinner. I knew no one – or so I thought. After the initial mingling and finding my table, none other than my professor from droit de la responsibilité civile was sat right next to me! I had to do a double take when I saw his name place card to my left after having found my seat, but low and behold there he was. The Sorbonne and Kings College London run a joint venture for which he is involved, hence his attendance. The food and carefully chosen wine was delicious and I managed to make some good contacts and enjoy some interesting conversations with all manner of different guests. The presentation from Sir Peter was excellent and there were some thought provoking questions from the audience regarding our current EU position, our assistance to France with regard to Mali and task sharing between the UK and France generally going forward. I hope to be more involved with the Franco-British Lawyers Association in the future. The evening itself has also sparked my interest in finding out more about the workings and role of the UK Government abroad. Back in the office... and some important exam results! It’s been nearly a month since the end of exams and the time has flown as always. I went home for the weekend before starting my internship on the 2nd April 2013. On the first day in the office, I was one of around 12 others who also started on the same day. We had a group seminar in the morning where we were all given laptops and had to create about 15 different passwords… Another group of other interns started a month before us so they have a bit of a head start but I am sure we will catch up. No one realised that I wasn’t French until at least the middle of the following day and some of the boys didn’t even realise until the end of the week which I found hilarious! In the past 3 or so weeks, in addition to the French tax system, I have also learned a lot about computers. I have also learned a lot of abbreviated French and jargon. It was no wonder I didn’t really understand what was going on during the first few days as everyone was speaking in abbreviated or technical French although I pretty much have it in the bag now. I dragged Adam into Dalloz on Saturday (he came to stay for the weekend) – it seems even after exams, I can’t stay away from that book shop… and bought a book on French tax law. I plan on making the most out of the next three months. In other WONDERFUL news….. (drum roll please…!) we heard today that we all passed our exams! I am over the moon! By the end of the week we should receive a personalised email detailing our grades to show us how we got on in the grand scheme of things. That should be very interesting indeed. Also, last week I had dinner with the UK Ambassador to France at his private residence and I will post about that next. It was a really interesting evening. It's nearly time to relax!! It’s the night before the penultimate exam (droit international privé) and although having had a meagre 5 hours sleep last night and having been revising all day I am still surprisingly awake – which is great as I have an awful lot to get through before tomorrow… I think it’s going to be a late night! Meghan came round at around 2 pm and we got a good 7 or 8 hours work in which is great, but the subject is really abstract and subtle and takes a lot of getting your head around unlike some of the more practical courses. It’s been a fairly stressful couple of weeks of course, but in a lot of ways, I have enjoyed this month more than any of them. For one, with the hours of work we have been putting in, I really feel like I have consolidated my knowledge; and the intense revision has also gone a long way to improving my French, especially my spelling and grammar. We have, however, no idea as yet, how we are getting on with the course or the exams as no grades or feedback have yet been released, so we are just all hoping for the best and hopefully things will come together. For my exam droit de l’entreprise last Tuesday, I turned up feeling really poorly, and I've been quite ill lately and in and out of the medical centre, although based on my previous record, the likelihood is I that did better in that exam than in others when I was feeling Ok! Past experience of taking exams in the UK whilst feeling under the weather tells me this, but this is France, and so anything could happen! Tomorrow after the exam, I have a pedicure and manicure booked (and oh my gosh it is so needed!) and then the final piece of work for competition law will be done before I can wake up on Thursday morning with the exam part of the course behind me! WE CAN DO IT GIRLS!!! (and boys!). I fly back to the UK on Friday to see Adam and the gang for a couple of days and it’s going to be amazing!! I’m starting to get really exciting about seeing everyone, there are some people I haven't seen since August last year! I think a couple of glasses of fizz and some nice food will be in order in Paris too beforehand or when I return, to celebrate our hard work - and then an hour of gym suédoise to work off all the calories afterwards! Oh my goodness me, we have a mere three weeks left – jam packed with exams, but three weeks nonetheless left before we start our internships and are on the home straight to the end of the LL.M. So far, we have had our final exams for droit des societes (yes, there was a third exam for this subject!) and the final for droit des contrats. Remaining we have droit de la responsabilité civil (which I am in the process of revising for), droit du travail (on a Saturday nonetheless although this is followed by lunch somewhere in the 5th), a mock trial for competition law, a three hour written paper for droit de l’entreprise, an exam for the free movement of goods and persons within the European Union and last but by no means least, the final for international private law! Just writing this list has drilled it home that there were most certainly not be any rest for us lot until the 30th March! We managed to sneak in a couple of cocktails after droit des societes but I can’t see that happening again until right at the very end. I have to say though, I am quite enjoying revising for droit de la responsabilité civil as its methodical and my notes are fairly good from the revision I did for the mock exam in December. I also made it home to York for a flying visit last weekend which was ace – and my sister was also in the city for a hen party so she dropped in on us over lunch on Saturday to say a quick hello. I took the Eurostar and train this time so that I could revise for company law en route and it turned out to be a pretty good idea. Things are also looking up on the weather front too… the sun has been beaming today and although I have been inside with my head in the books, the windows have been wide open and it’s been really nice sitting with the sunshine coming through! I am fairly cheery despite my sleeping in the lounge for the moment whilst my bedroom is being painted… The sofa isn’t that bad but I’ll be glad when I get my room back, not least so that my poor housemate can also get the TV room back! My stuff and I have taken over the place, although of course it’s not my fault that the painters are taking a whole week to paint one room and 2 utility cupboards… ahem. The next three weeks are going to fly by I am sure and then I get another quick pit stop back in the UK for two nights before the 9 to 5 starts (cue Dolly Parton). I have organised a lunch with the girls when I am back in Cheltenham for the last weekend of March, and as much as I would also like to go home to York, there is only time for one stop so we decided Cheltenham would be great so that we can see everyone. I could also really do with going to Cavendish House for some work clothes and I am looking forward to ceasing the student look which has subsisted for the last 7 months. I am going to banish leggings and black boots for the rest of my life once these exams are over! My poor black boots have been worn practically every day since before Christmas! Well done to the boots though, they have held up extremely well, but I am looking forward to getting back into some office wear - a nice pair of smart court shoes and some skirts would most certainly not go amiss! What a couple of tourists! Adam came to stay last weekend and it was the first weekend since I arrived in September that I have actually made any proper plans to take in the sights and sounds of the city in which I have been living for the last 6 months! Our weekend started with dinner on Friday night at the café over the road from the apartment and drinks with the lovely Montana and then on Saturday there was no hanging about as we were straight out of the door to make the most of the sun which had made an appearance! We took breakfast outside at a super cute typically Parisians café on the corner of Place de la Madeline overlooking l’église and then we walked around for a bit before heading to Place Blanche right by the Moulin Rouge where were hopped on the “Little Train of Monmartre” and took in a huge number of places including Cimetière de Montmartre, La basilique du Sacré-Coeur, Amphithéâtre / Arènes, Eglise, Saint-Pierre, Place du Tertre, Espace Dali, Musée Montmartre, Les Vignes de Montmartre, Le Lapin Agile, Cimetière Saint-Vincent, Place Constantin Pecqueur, La Halle et le Marché Saint-Pierre and Anvers…. Phew! My highlight of this trip has to be the view from the top of the hill and making friends with a living statue from Poland! In the evening we went on a cruise along the Seine where we took in Paris by night, followed by dinner at the foot of the Eiffel tower! Note to self: I really need to buy a warm coat at some point in my life! It was freezing on the boat so we went inside for the trip back. The food was lovely at the Bistro and the view amazing. On Sunday there was still no stopping us as we visited the Catacombes de Paris and then onto the Panthéon with Caroline and Anne-Sophie before meeting Ingrid in a bar for a couple of glasses of vin chaud to warm up a bit. All in all, a totally productive tourist weekend and a nice break from the studies for a couple of days. Next exam is droit des societes in just over a week – plus Esmeralda and I also have to finish working on our group project for droit de la concurrence and preparation for a mock trial. For those of you who have been asking, the rumours are indeed true. The poor kitty Tatami has sadly been put to sleep. She had suffered a kidney infection (or was it her liver?) and then went on hunger strike for about 3 weeks. Any cat lover worth his or her salt, pretty much knows that this spells the start of a trip kitty heaven. No more will I have to endure the smell of cat litter around the apartment, nor have to wield a broom around with me for fear of being attacked by said small domesticated carnivore. You were a the grumpiest chat I ever met, but I kinda liked you in the end. And then you died. Last week was awesome – I started jogging again which is great for learning my way around my new arrondissement (thank you Decathlon for your sale on sportswear! ), I attended another energetic Gym Suédoise with Caroline which is hilarious (you can watch a video which gives you the gist here: http://www.youtube.com/watch?v=-OSazdnkX_0) and, after a busy week of lectures and visits, Adam came to stay at the weekend! On Wednesday, we had our last lesson of Droit des Societes with the lovely M. Lecourt following which he and the class went for lunch together at a Korean restaurant in the Marais before a visit to the Tribunal de Commerce. M. Lecourt also gave us our grades for the cas pratique which we had worked so hard on in January. I scored a ‘mention’ which was great, and everyone did well – the exam for this subject is in 2 weeks’ time. The Tribunal de Commerce hears disputes between traders and is much like any other Court apart from the fact that the judges are businessmen themselves and are elected by their peers to hear disputes. It was really interesting and we warmly welcomed and had the opportunity to ask questions to the new président of the Tribunal M. Gentin who was elected on the 20th October 2011. Our guide for the afternoon was M. Jacques d’Arjuzon who is the président of the chambre de droit des societes who took a great interest in our studies and enjoyed showing us the workings of the court. We had the opportunity to sit in on the court (which is public and very lively) and Chen and I were invited back the following morning to sit in on several audiences de plaidoiries heard by M. d’Arjuzon himself. There were 6 “affaires” in total, ranging from the appointment of a “juquidateur” to wind up a company whose owners had fled abroad as their business had gone down the pan after 6 short months, to the multi-million pound subsidiary of a national supermarket chain and the issue of “competence”. The multi-million pound subsidiary wanted their main arguments to be thrashed out in “arbitrage” (where proceedings are secret although can cost up to 100,000 euros), whilst the smaller company wanted the Tribunal itself to decide the matter where it’s free, although open to the public. I wonder what will end up happening there. The next “audience” for that one is scheduled for some time in March. Following our morning at the Tribunal, we then had a short meeting with an alumnus of the LL. who now works in Frankfurt, to discuss the setting up of an association of alumni which myself Chen and Thomas are in the process of creating. 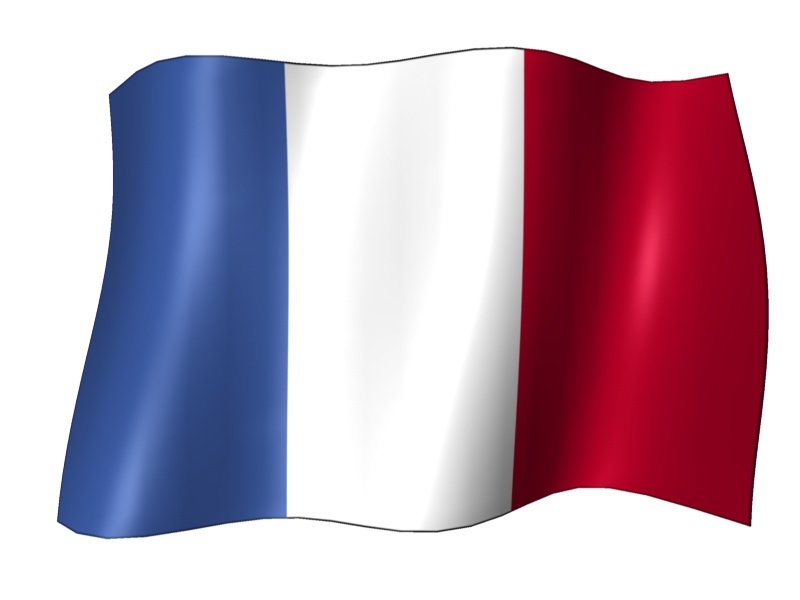 In France, such an association has to be formally drawn up and registered with the préfecture. Now starts the task of locating all previous students! The visits continued on Friday with Professor M. Ameli of droit de l’entreprise, to the International Chamber of Commerce (ICC) whose head office is in Paris. Despite my lack of practical experience in this domain, it’s an area that I am becoming increasingly interested in. The visit itself was very well organised – we firstly had a general presentation about the ICC, its policies and commercial practices, by François Gabriel Ceyrac the director of membership. This was followed by a talk by Calliope Sudborough regarding the ICC’s Amicable Dispute Resolution and then finally, a presentation by Anne Caudrillier about the international court of arbitration. I found the ICC very welcoming and the speakers engaging. After the ICC, I then had to locate Adam who was in café Benjamin along rue de Rivoli..! Our first proper tourist weekend had begun! I’ll be updating you on that in my next blog entry. This week has flown by! Although I think even since Christmas is has been like that. In fact, just reading the first line of my last blog entry, I start by saying the exact same thing! I estimate six weeks left before the end of the exams….. I have no idea how we are going to fit all of the exams into such a short time frame, but I am sure the professors will manage it! This evening to chill out for a bit (and it is Saturday night after all), myself, my new housemate, Alex, Thomas, Meghan, Montanta and Montana’s friend who is visiting for the weekend, went for dinner and then to watch Silver Linings Playbook at Bercy Village. I haven’t been that far on the Line 14 before, and it’s a super cute area. I’m going to take a walk over that way soon in the daytime, there are lots of lovely places to eat and some small shops – a bit like a Christmas market feel about the place, but really calm as well. This coming week, once the exam is out of the way, I’m going to do 2 bouts of Gym Suèdoise (definitely need to get back on the exercise wagon) and then Thursday afternoon Caroline and I are going to take a walk over to the Champs Elysée. I have been in Paris for five months and I haven’t even been over there! I have a big project for competition law coming up soon so I need to start thinking about that mid-week as well. I hope everyone is well back home! This week has gone super quickly. We have been revising hard for our contract law exam which is on the 5th February… I have been through all of my notes, and I’ll spend the next day or two tabbing up my “Code Civil” and trying to commit to memory the various rules and theories. I have finally started doing some exercise at Gym Suédoise – I went with Caroline and Justine on Tuesday night it was really good. We all definitely felt like we had a good work out the next day, ouch! I didn’t go this evening however as I have been busy revising and to be honest, it totally wiped me out on Tuesday night so I think I’ll just go once a week for the first two weeks and then step it up form then. I have to say, living in this new apartment, is doing me the world of good. It’s so much better than my old place, by a mile, I can’t tell you! The cat still hasn’t made reappearance however – apparently she hasn’t eaten for more than a week now – she is still at Francois’s house, him having picked up her from the vet last week. It isn’t looking good for the moggy at all! Tomorrow we have another lesson on “droit de l’entreprise” in the morning and then I’ll either come home or stay in the library to carry on with the contract law revision. The weekend will be more of the same, although there is a small group of us going to the cinema on Saturday night to watch “Silver Linings Playbook” which looks pretty good at Bercy Village – I just watched the trailer. I think we may even treat ourselves to a glass of wine afterwards assuming we are not all totally shattered from the week! I can’t believe it’s already February…. And February always goes by so fast. It’ll be the 1st April 2013 before I know it – when I start my internship. I know I’ve said it 100 times, but I just can’t wait! This weekend is Adam’s birthday which is very exciting! We are going to be meeting up in London to celebrate with a trip to the theatre to see the Mousetrap. With the snow gone, there should be no delays on the Eurostar and a few short hours after our ‘droit de l’entreprise’ class, I will be there! It will be a nice couple of days out from all studies and a chance to recharge. Our next exam is the contract law exam on the 5th February….. I suppose living for most of my life in the back of beyond is certainly a far cry from the city. I have, however, embraced city life in Paris. I have run for my fair share of metros, walked with determination down the rue de Rivoli using my elbows to get through!, and lugged my bag containing such heavy French legal textbooks that I feel sure I would be in for a chance at the next arm wrestling championships. I am perhaps turning into a city girl. However, as much as Paris has so far been welcoming in the main, I am not very happy about this one aspect of city life which is as common here as it will be in every large city – and of course in the back of beyond too (although perhaps less prevalent). Alas, there was a break-in in my building today. A mere week after I moved in. I am not very happy right now. The concierge just came by to say that we should make sure we double lock the door each time we go out and that the lock upstairs was nearly completely taken off. The thief or thieves were obviously determined when they struck around midday and apparently hey got away with cash and some jewellery. The person or people in question probably had the door code to our building ; the front door being on a timer during the day as there are offices downstairs – so that clients of the dentist and other businesses can come in and out of the first building in the courtyard with little fuss. It did occur to me that take-away delivery guys will be given door codes of course and that there are a fair few people in our building, so anyone could theoretically go in and out drawing little attention to themselves. The whole thing has made me pretty angry. How dare they?! We are going to need to be really careful. I am really enjoying living in this new place but this news is rubbish. #catwatch : the cat Tatami has a kidney infection and is currently at the animal hospital. It is weird without our feline housemate! My sister came to stay! My sister came over on Thursday! It was her birthday on Wednesday so how better to celebrate than with a couple of days in Paris. It could have started a little better with the Eurostar being a whopping 5 hours “en retard” due to the snow back home, but that didn’t stop us making the most of her 2 nights here. First of all on the Friday, I dragged her all around the 5th arrondissement with my classmates on a tour that was kindly put together and lead by our French teacher Mme. Lazerge. The temperature was freezing but it was good fun and we warmed up at the end with a “vin chaud” at a café on rue Soufflot. The evening saw us have dinner with a few of the gang at a cute restaurant on rue Moufettard called “La veille tour” and then today (Saturday) we did the best whistle-stop tour ever! It started snowing last night so it was good fun running around taking snaps of my sister outside every building of interest on our way from the 8th to Gare du Nord en route to the Eurostar to take her back home. I have posted some photos that you can check out. Hope everyone back home is coping with all the snow! I don’t think it’s going to stick around here in Paris for more than a day or two. Nonetheless, I am planning on spending the rest of the afternoon today inside in the warm catching up with what’s been going on in the world this week after I’ve had my head in the books all week - maybe I’ll even let the devil cat come and keep me company a bit later. Despite her temperament, she does quite like sitting on the end of my bed whilst I’m doing my work.